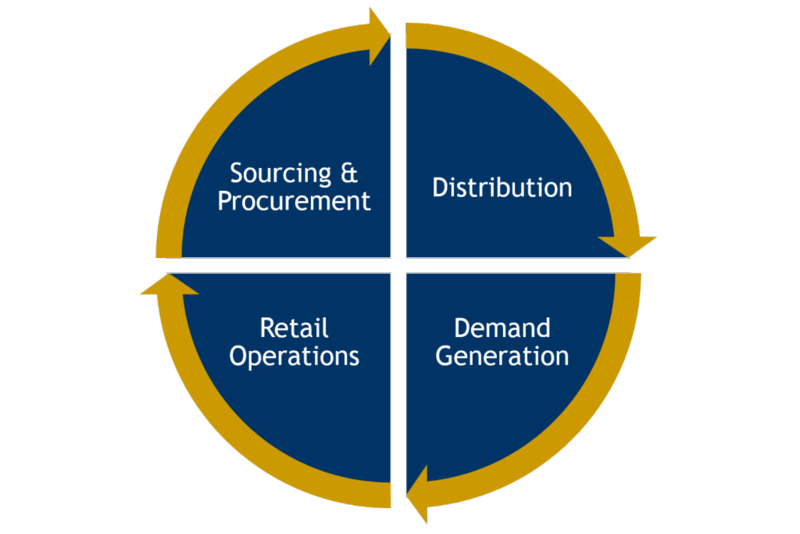 The value chain represents Supply and Demand activities focused on delivering value to the consumer. The primary focus is on streamlining product, information, and cash flows between manufacturer and retailer trading partners. Industry leaders are increasingly exploring opportunities within the total Value Chain to eliminate waste and more effectively serve their consumers & shoppers. When seeking to optimize the Value Chain, manufacturers and retailers must understand the interdependency of activities and the effect of strategic and operational choices. TPG works collaboratively with trading partners using a detailed process and analytical tools to deliver typical savings of 5-15% of cost of goods sold. Scope: Defines the extent and limits of the processes to be optimized, based on a Value Chain assessment and collaborative input between trading partners. Process Mapping: TPG documents each work process within scope and identifies inputs, outputs, and metrics. Process analysis then identifies performance against best practices, and ideal loss targets. Loss Analysis:Based on the process documentation, an analysis comparing the required business need, and required action plans, to the current capabilities internally and with trading partners. These differences or “losses” are calculated and definitive targets are developed to create performance maps and objectives. Financial and Operational Alignment to Priority Projects: Based on process documentation and loss analyses, TPG works internally and across trading partners to align stakeholders to the appropriate projects to achieve the desired results. Implementation: : TPG co-leads the delivery of selected projects to deliver the desired results. Project milestones and monthly performance reviews are conducted to stay on track to project expectations.